​Following the Fukushima accident, the Japanese authorities decided to "recover" the contaminated territories, including those that were most affected and were evacuated. Five years later, despite the fact that decontamination work has been completed in certain municipalities, a large section of the population is uncertain about returning, or has decided not to. 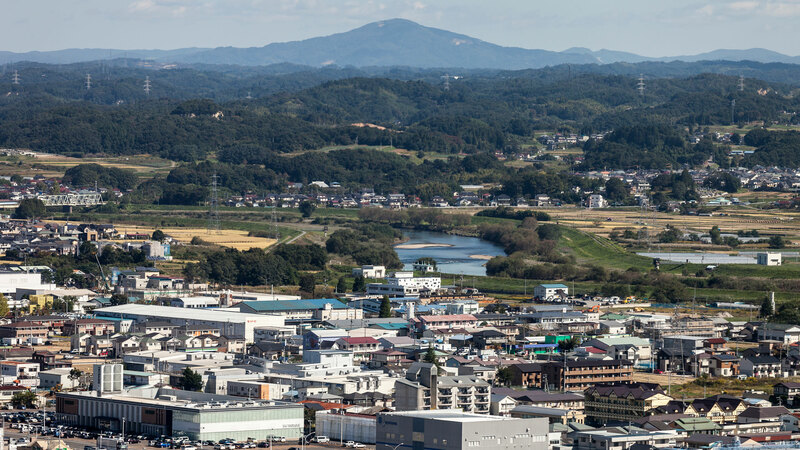 The Japanese authorities rapidly took the decision to "recover" the contaminated territories through a programme combining mass decontamination and revitalisation measures. After the Chernobyl accident in 1986, the Soviet, then Ukrainian, authorities had made the opposite choice, with the creation of a 30 km exclusion zone around the power plant which is still in force today. a Special Decontamination Area (SDA) that regroups all of the evacuated zones. In this zone, it is considered that the annual dose could reach or exceed 20 mSv. The government is responsible for decontamination operations.an Intensive Contamination Survey Area (ICSA) that regroups the non-evacuated contaminated territories. In this zone, the annual dose can lie between 1 and 20 mSv. It is up to the municipalities to identify the areas to be decontaminated, and to carry out the ensuing operations; the government, for its part, provides technical and financial support. Location of the Special Decontamination Area (SDA) shown in red, and the Intensive Contamination Survey Area (ICSA) set up by the Japanese authorities at the end of 2011. In April 2012, "large- scale" decontamination began, even if numerous local initiatives had already been implemented outside the evacuated zones by the inhabitants themselves. At the end of 2015, in the Special Decontamination Area, decontamination operations had been completed in six municipalities out of a total of 11. Following the completion of these operations and other measures (re-establishment of infrastructures and services, and implementation of dialogue and exchange structures), the evacuation order was lifted in three municipalities or parts thereof. To date, the return rate of the inhabitants is between 9% and 41%, i.e. around 900 people out of a total of almost 80,000 evacuees. 86,000 people considered to be "evacuees";26,000 people who preferred to leave, for fear of being evacuated at a later stage;48,000 people who left voluntarily due to the situation. In October 2014, the Japanese authorities estimated the number of evacuees in the Special Decontamination Zone alone at around 80,000 people. Of these people, 25% currently live outside the Fukushima prefecture, and 75% have been rehoused there. Surveys carried out on a regular basis on the intention to return of the 80,000 evacuees show that, at the end of 2014, only17,500 people (22%) were ready to return, 33,000 people (42%) had made the choice not to come back and 29,000 people (36%) were still undecided. The delay in decontamination operations due to an "underestimation of the number of houses and public places to be treated" leads to two reactions: on the one hand, the anger of the evacuated inhabitants who wish to return - most often farmers - and, on the other hand, opposition to the "recovery" policy from people demanding resettlement outside the evacuated zone.A triple misunderstanding between the threshold set by the government to lift the evacuation order (annual accumulated dose of less than 20 mSv), the long-term objective evoked by the government (1 mSv/year) and the interpretation of the latter figure by the population as an objective to be reached everywhere in order for the decontamination to be considered complete and the territory once again viable. In this context, dialogue structures between, on the one hand, the people evacuated and the residents and, on the other hand, the towns and the prefecture, have a major part to play. The government therefore decided to create the position of "counsellor" to people who chose to remain or return to the affected territories. The role of the counsellors who, for the most part, are from civil society, is to help these people understand their exposure level based on their daily life. 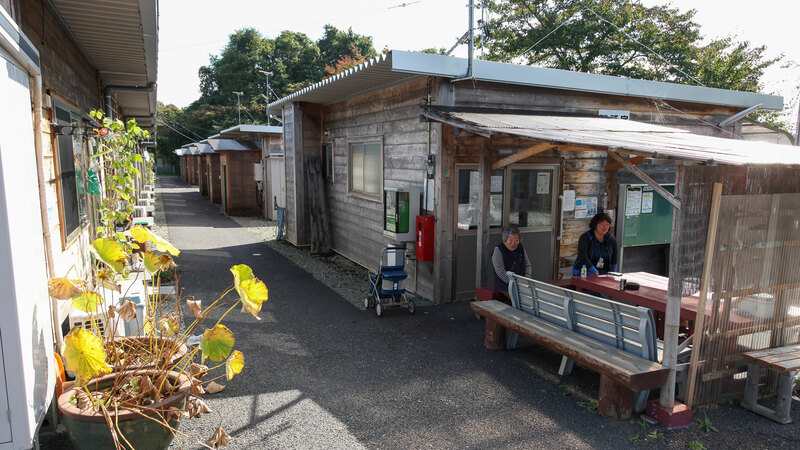 ​Temporary housing for displaced persons in the municipality of Miharu in Fukushima Prefecture. Five years after the disaster, mostly elderly people remain. © Noak/Le bar Floréal/IRSN. ​Five years on, the fallout of the accident at the Fukushima-Daiichi nuclear power plant continues to be considered a threat to health and a barrier to a return to a normal life for many residents of the Fukushima prefecture. Radioactive releases have contaminated wide areas and deeply shaken the lives of the inhabitants. Should we stay or leave? Should we be afraid for our children's future? Where can reliable information on the radioactivity level surrounding our homes be found? These are just some of the questions that the populations living in the contaminated territories have been asking themselves since 2011. Between 2011 and 2015, on the initiative of the International Commission on Radiological Protection (ICRP) and the Japanese association Radiation Safety Forum, 12 meetings brought together local actors and experts to discuss the difficulties encountered by the inhabitants and initiatives to address them. This local initiative was supported by IRSN, the French Nuclear Safety Authority (ASN), the Norwegian Radiation Protection Authority (NRPA) and the Nuclear Energy Agency (NEA). The webdocumentary Kotoba: Dialogues in Fukushima relates the story of this experience for the rehabilitation of living conditions in the territories contaminated by the Fukushima accident. Giving Japanese people the opportunity to speak, it tells the story of these four years of dialogue between experts in radiation protection and a resident community in the prefecture (parents, farmers, teachers, doctors, elected representatives,...) wanting, more than anything, to regain control of their lives. 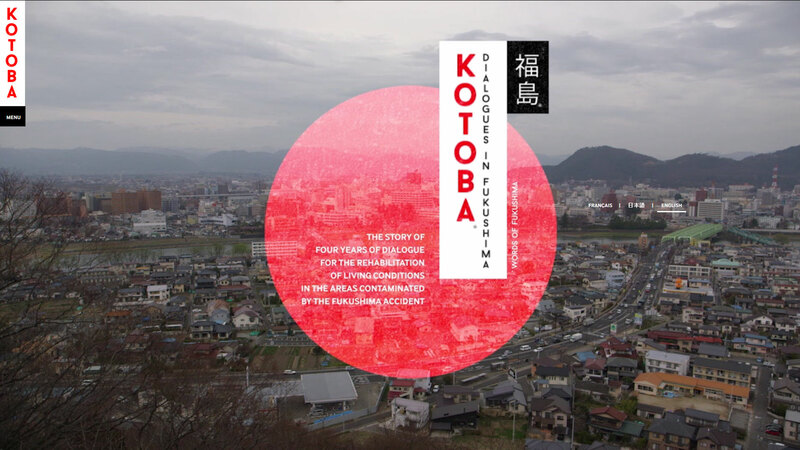 Consult the webdocumentary "Kotoba, Dialogues in Fukushima"
​Webdocumentary Kotoba, dialogues in Fukushima. © IRSN.